Well, it could be worse. Spoiler Alert. Sorry, I'm just probably traumatized by our long winter. I'm not trying to be negative but living in Maine for over a decade now, I know how weather can change any second from summer to winter. And yes, you could experience all 4 seasons in one day. I'm not lying. Anyway, it's summer right now so I will just dwell on that moment because I am loving it. 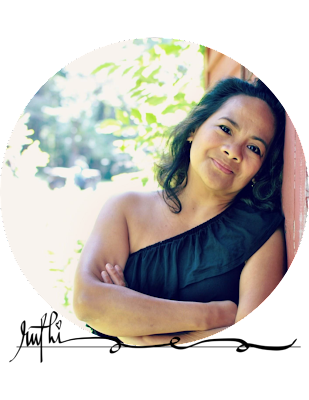 Today, after I got my inspection sticker for my car I went home to get ready for my Thai Bodywork at Sun Salutations Yoga and Wellness Center. I took the River Road route and passed this farm where I used to get my organic veggies straight from the garden. But a couple of years ago it closed and sold the property. I was not happy about that. But what can I do? So I moved on and get my veggies from the grocery stores like normal people do. As I drove by, I saw the "OPEN" sign at the barn so I turned around and went back to check it out hoping that the new owner is selling organic veggies too. Sadly, NO! The farm was turned into a flower farm. 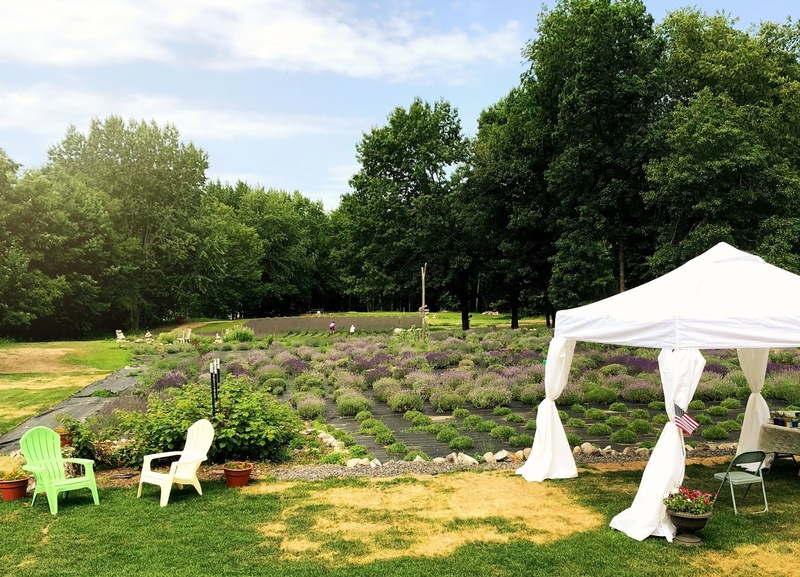 It is now called The Riverside Lavender Farm. YES!!! This farm grows lavenders! As I walked in, I was greeted by a nice lady named Tammy, the Lady of the house and the Operations Manager of the farm. 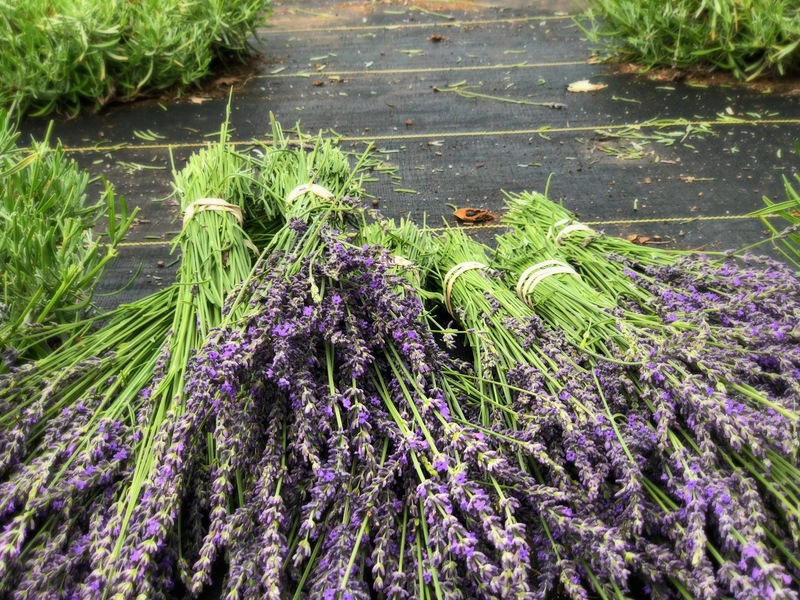 She was bundling up the lavender stalks which they are selling in their barn. She told me that I am welcome to roam around the lavender field. So, I did. From where I was standing I was amazed to see those rows of lavender bushes (not really sure if you call them bushes) in front of me. 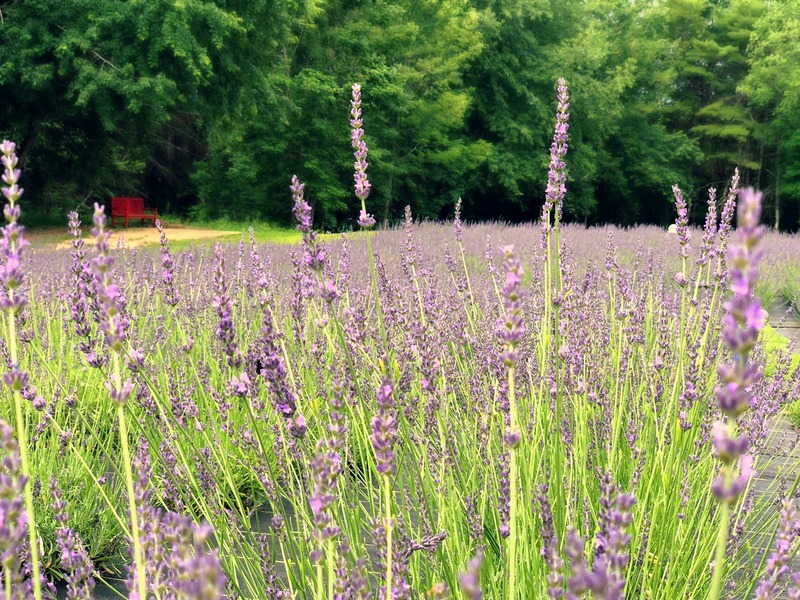 The place was just like one of those pictures of lavender field I saw in Travel Magazines but smaller. The view was mesmerizing and the smell was lovely. There was a little spot in the middle of the field where you can sit and maybe meditate. My brain was thinking about yoga by the way. And yes, I was thinking... "this is a great place to do yoga". As I walked further I saw some actions going on. 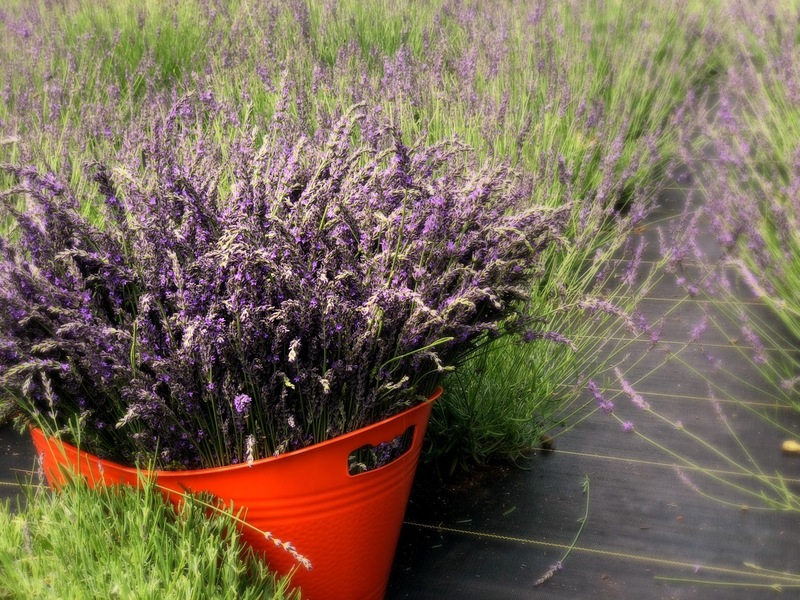 They are harvesting lavenders! 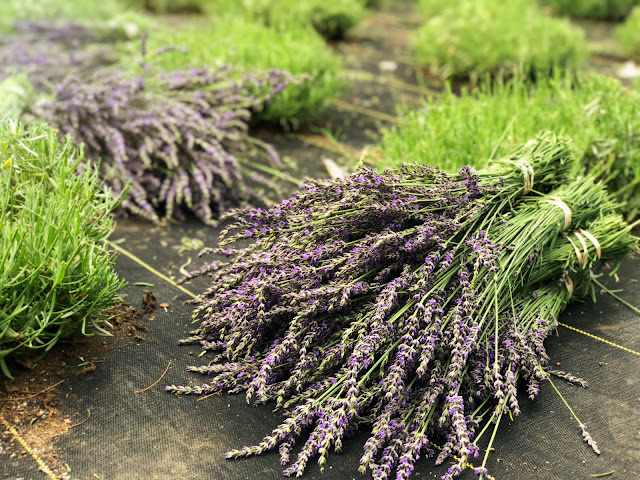 So I walked over and talked to the guy cutting the lavender stalks. Mark, Tammy's husband is a US Marine Veteran. Apparently, he used to live in the Philippines and knows a lot of Filipino dishes that he can actually cook. And yes, he speaks Filipino, a little. He cut and bundled up my very first real lavender for me. And I went to my Yoga appointment, smelling lovely. The Riverside Lavender Farm is owned by Mark and Tammy Braun. Though their main produce is lavender they also grow organic herbs, vegetables, fruits, nuts, berries and other perennials. 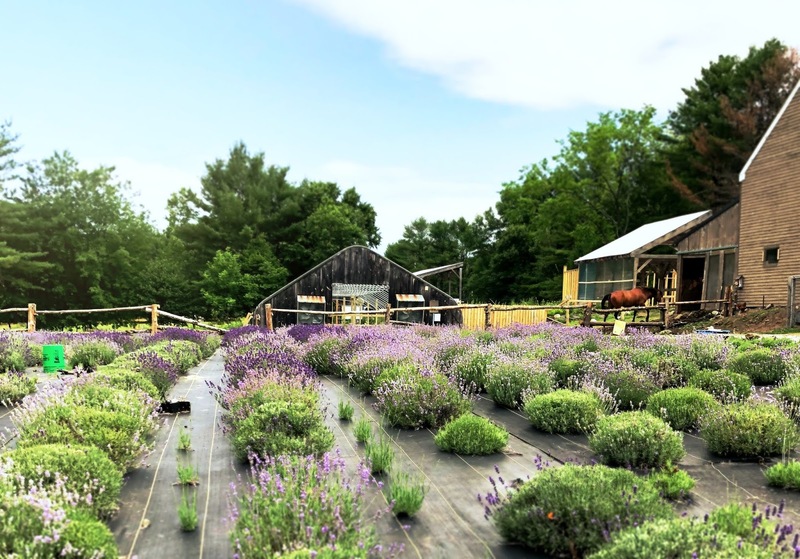 The farm also sells lavender by-products from lavender wreaths to soap to lavender infused honey and much more. 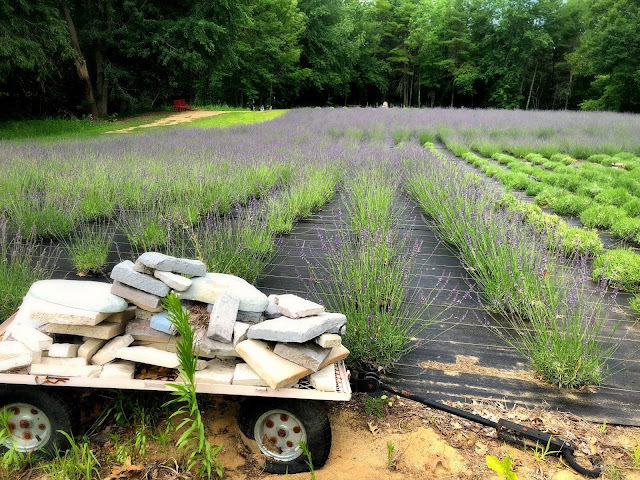 They offer tour of the farm and classes on how to make stuff made of lavender. The Brauns are big advocates of the Veterans. They started 2 programs to help the Veterans. 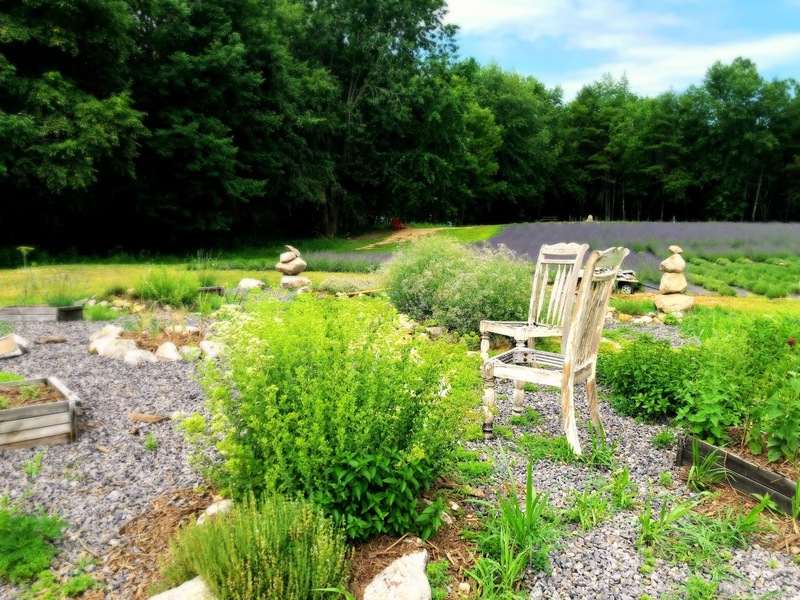 The farm is located on the Saco River at 55 River Road, Steep Falls, Maine. They can be reached at 207-332-6502 for inquiry. AUTHOR'S NOTE: This is not a Paid Advertising. This is just my way of supporting and promoting Maine Local farmers and artisans. Apprecіate tthe recommendation. Let mme try it out. 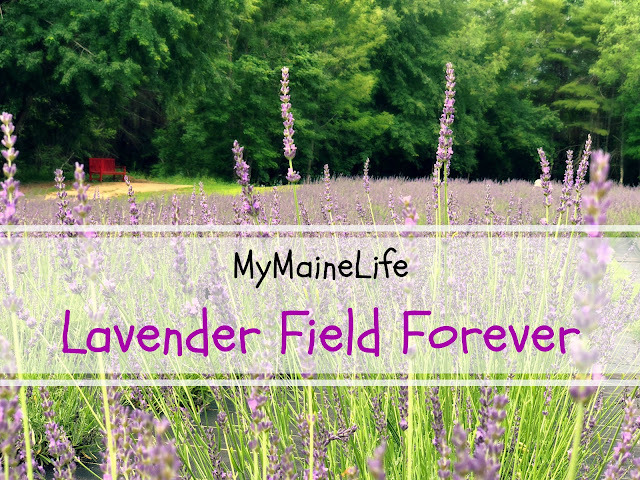 Thanks for finally talking about >"MyMaineLife: Lavender Field Forever" <Loved it! Nonetheless, I'm definitely happy I discovered it and I'll be book-marking it and checking back regularly! so I decided to check оut your website on my iρhone during lunch brｅak. I reaⅼlʏ like the info you present here and can't ԝait to take a looк when I get һome. I'm sһocked at һow fast your blog loaded on my mobile .. I'm not even using WIFI, just 3Ꮐ .. Anyhoѡ, wonderful blog! this site is in fact good and the viewers are truly sharing fastidious thoughts. Wow! In the end I got a web site from where I can really get helpful data regarding my study and knowledge.